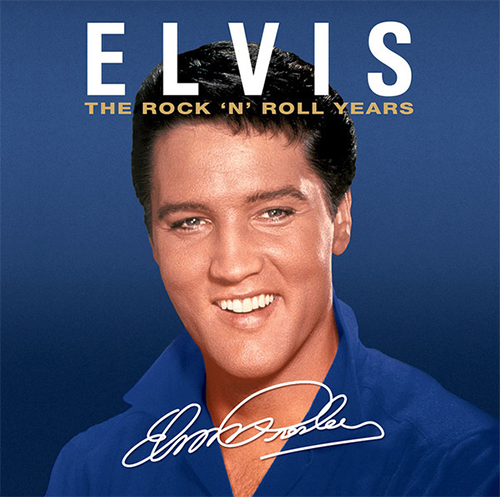 My Generation Music will release "Elvis Presley - The Rock 'n' Roll Years" on vinyl. In 2016 they released a 3CD set with the same title. I like the way the cover has nothing to do with the years on the Cd. Experts will be discussing this for decades to come. I really like the cover. But the title The Rock‘n Roll Years doesn‘t fit. The Movie Years would be a very good idea for this cover. Overall it is a quick buck release. Not my kind. Gorse, agreed per your remarks, which I actually thought about prior to making my comment. The fact of the matter is why the constant reissuing of CD's and vinyl such as this when these tunes have been released God knows how many times before? Seems the "quick buck" is still alive and well. You are technically correct Cruiser621 but the title is 'The Rock 'N' Roll Years, which I presume in the case of Elvis is anything recorded in the period 1954 - 1959. Anyway I suspect you and I will be rushing out to add this to the latest 'Love Me Tender' CD release !!. Old Shep and Love Me Tender are definitely NOT rock 'n roll per se'.